New research studies large datasets to see a common genetic design for Polycystic Ovary Syndrome (PCOS) improving our understanding of a principal cause of female infertility. The findings of the study are published in the journal PLOS Genetics. Irregular periods, often with weight gain, or just irregular periods and infertility," said Corrine Welt, M.D., interim chief of the Division of Endocrinology and Metabolism at University of Utah Health and one of the senior authors on the study. "These results drive home the point that regardless of symptoms for diagnosing PCOS the genetic underpinnings are exactly the same." The researchers explored the genetic basis of PCOS by conducting a whole genome association study on the genomes of more than 10,000 women with PCOS and 100,000 controls from seven studies that include participants of European ancestry. 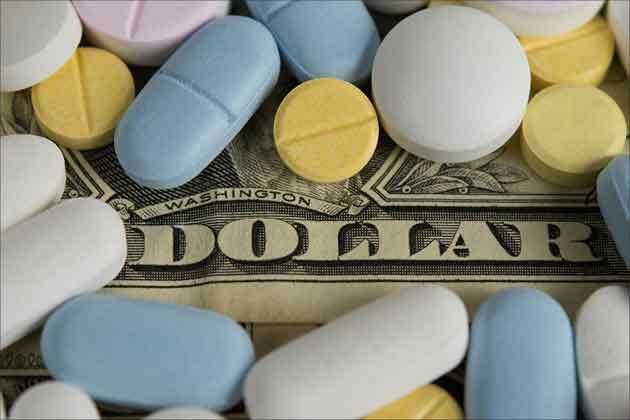 Data were collected from clinically verified cases from North American and Europe as well as from opt-in research participants, which was provided by 23andMe. In the study, the researchers separated the PCOS patients into three groups based on diagnosis. Patients diagnosed using the National Institutes of Health criteria (high testosterone and irregular menstrual cycles; 2,540 cases and 15,020 controls) account for about 70 percent of PCOS cases. Patients diagnosed using the Rotterdam criteria (high egg production; 2,669 cases and 17,035 controls) account for up to 20 percent of PCOS cases. The researchers also examined self-identified PCOS cases (5,184 cases and 82,759 controls). They identified 14 gene variants that were associated with PCOS, including three that were identified for the first time. Only one of these 14 genetic variants differed significantly in its association by diagnostic criteria. The researchers next examined the associations of these 14 gene variants with specific PCOS related traits in three additional studies with a combined total of more than 10,000 PCOS patients and found four variants associated with high testosterone, eight variants associated with high egg production, and nine variants related to infertility, with three variants associated with all three traits. "Patients often go from doctor to doctor before they get a diagnosis, because medical professionals may not be familiar with PCOS and providers from dermatology to obstetrics and gynecology to endocrinology may diagnose PCOS differently," Welt said. "As a community, we turned to genetics to understand the initiating cause of this disorder." The genetic underpinnings of PCOS implicate neuroendocrine, metabolic and reproductive pathways, and a follow-up analysis found that the genetic pathways identified in this study are also linked to other conditions including metabolic disorders such as type 2 diabetes, menopause, obesity, and depression. Also, the researchers found, for the first time that there are some links to male pattern baldness. "The links between PCOS and mental health suggest the importance of a holistic approach where the social and psychosocial dimensions of the disease are considered," said Felix Day, Ph.D., senior research associate in Growth and Development at the Medical Research Council Epidemiology Unit at the University of Cambridge, England and contributing author on the study. "The next steps are to characterize further the causes of this understudied disease that affects many women worldwide." Welt noted the study might over-represent the most severe characteristics of PCOS (defined by the NIH criteria), which is more commonly diagnosed by medical professionals. As such, the results may be biased toward the variants that impart these traits. Also, whole genome association studies identify regions of interest along the genome but do not pinpoint the causal gene. Elevated testosterone levels in women linked to less diverse microbiome composition in the gut. 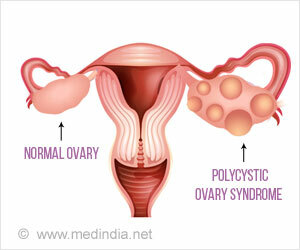 What Causes Diabetes in Women With Polycystic Ovarian Syndrome? Women with polycystic ovarian syndrome are at a four-fold risk of diabetes. BMI and fasting glucose can help predict the risk. Many women wait for years before diagnosis of PCOS, the common reproductive, metabolic health problem, finds survey. Ovarian Hyper Stimulation Syndrome is a systemic complication of fertility treatment with hormones to stimulate development of eggs in the ovaries. The over stimulated ovaries release certain chemicals that can affect the kidneys, liver and lungs.